When they spend, you save. 1-call setup, award-winning service and next day payments. Our unique card processing price promise means you save with every sale. Imagine how quickly that could stack up? Thanks Chu, you’ve made us blush. We’ve served over 500,000 small businesses since we set up 15 years ago. and decaf-soy-chai-macchiato-with-extra-shot sold means yet another saving. Simple and secure Fixed-position terminals are fast, easy and reliable. Ideal for shops and hairdressers. Payments on the move Wireless terminals with a 100m plus range. Perfect for pubs, cafes and restaurants. 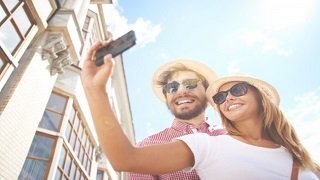 Out and about Take payments anywhere, anytime. Ideal for one-man bands, taxis and tradesmen. the paperwork and the form filling whilst you get on with running your business. We’ll set you up in just one call. You just save money, with no strings attached. With us, you get ultra-fast setup by real people. Get money in your pocket faster. Contactless, mobile pay, fast receipts, long-life battery – you name it, we’ve got it. 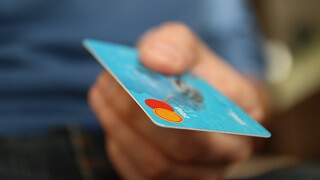 Get the same card payment tech used by the UK’s biggest retailers. 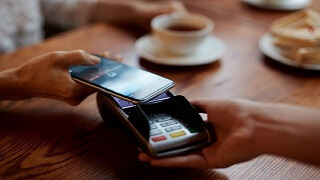 Contactless payment almost trebled last year, while cash payments plummeted. That means more and more of your transactions are going to be by card, not cash. Card payments charges amount to a tax on your businesses – unavoidable, fixed costs. So it’s more important than ever to make sure you’re getting the right deal. Customers walk away from a purchase if they’re unable to pay by card. That’s how fast contactless payment grew last year in the UK. All our payment terminals feature the latest contactless tech. "I was nervous when switching across to a new company that I knew very little about. However my experience to date has been fantastic"
"The service has been second to none. Every staff member I have spoken to has a genuine desire to help." "Great customer services sorted any problems swiftly. Even telephoned me to make sure everything was ok."
"Spoke to a young lady who was helpful and polite. Convinced you have better card service support than my last "